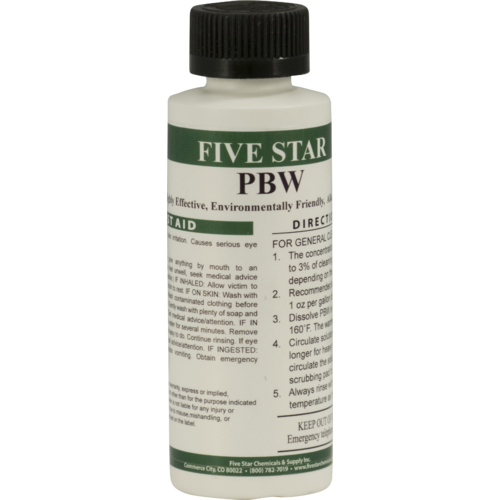 PBW stands for Powder Brewery Wash, which is a non-hazardous buffered alkaline brewery cleaner. It is the cleaner of choice for many breweries where it out performs more hazardous caustic chemicals without removing the flesh off your bones. It will not corrode soft metals. Usage varies based on the application; typically 1/3 oz - 1 oz per gallon. When mixing hot water and PBW in an air or water tight space, it will create pressure. Please use caution when using PBW in enclosed equipment.